PWM has performed civil engineering and surveying for the D-MCRL for more than 25 years. The D-MCRL is located on 120 Acres near the Morgan-Lawrence County line along AL Hwy. 20/US 72 Alt. 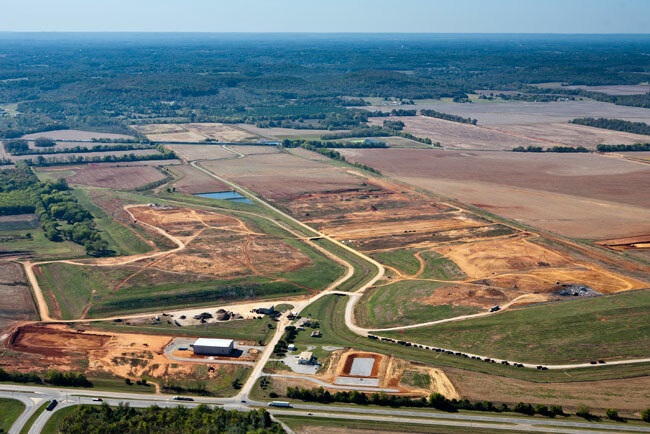 The PWM team has performed this work through or original name, Mabry Engineering, through Pugh, Wright and Associates, and now as Pugh Wright McAnally. Our scopes performed include site master planning, EPA and ADEM permitting, site grading and drainage plans, roadways, highway approach designs for access, design of maintenance and office facilities, recycling facility, design of stormwater detention facilities, site utility design, topographic mapping, construction layout and Solid Waste Management Plan. PWM staff has been instrumental in establishing a groundwater interceptor plan for controlling ground water levels to provide significant increases in air space, thus extending the life of the facility for decades.